Over the past two KTD / UNCG meetings, we've been exploring the intersection of collaborative governance and equity and social justice work. This week, John Stephens, one of our UNCG members at the University of North Carolina-Chapel Hill's School of Government, shares this exciting story from his colleague LaToya Powell of "judge as convener" for reducing the likelihood of school-based incidents leading to juvenile justice system involvement. Read her post "Teaching Judges about the School to Prison Pipeline" below and head over to UNC's "On the Civil Side" blog to engage in discussion. Every June after celebrating Father’s Day, district court judges throughout the state head to Wrightsville Beach for their annual summer conference. Normally, I get to tag along to give them a legal update on recent juvenile delinquency cases and legislation enacted since their fall conference. However, with less than a handful of published delinquency cases decided since the fall and no new legislation, I thought I’d miss this one. To my surprise, they wanted to hear about a different juvenile law topic – The School to Prison Pipeline (or STPP) – a somewhat controversial topic to discuss with judges because it’s more about policy than law. Here’s what I told them in the most neutral, non-advocacy way possible. The STPP is not a new phenomenon. A Google search of the phrase yields hundreds of articles written about the issue, including some from local organizations like Youth Justice Project NC, a nonprofit advocacy group specifically created to dismantle the STPP in our state. According to YJPNC, the STPP is a system of laws, policies, and practices that “push” youth out of school and into the juvenile and criminal justice systems. As a result, it is often referred to as “school push out.” In the simplest terms, kids get into trouble at school and then get arrested and charged with a criminal offense. In 2014, 45% of all juvenile complaints in NC were for school-based offenses, those occurring on school grounds, school property (e.g., buses), at a school bus stop, or at an off-campus school sanctioned event. The majority of these complaints (94%) were for misdemeanors, such as simple assault, misdemeanor larceny, and disorderly conduct. Advocates cite this data as evidence that schools are increasingly using the court system to handle minor discipline issues that were once addressed by the schools themselves. See, e.g., In re K.S.D., __ N.C. App. __ (Jan. 5, 2016) (unpublished) (disorderly conduct adjudication for yelling profanities at a teacher); In re M.J.G., 234 N.C. App. 350 (2014) (disorderly conduct adjudication for yelling profanities at two teachers during a school assembly). For those of you who are visual learners, YJPNC released this short video in January 2014, which illustrates how the STPP operates in NC. It was a helpful way to start my conversation with the judges. What Factors Contribute to the STPP? School policing (or over-policing) is the most common reason cited by advocates for the STPP. The 2015 North Carolina SRO Census indicates that there are approximately 851 SROs in NC public schools, a significant increase since 1995 when there were only 243 (see 2008 census). Most of them have completed the one-week basic SRO training offered by the NC Justice Academy, but less than 40% have received advanced SRO training. Presumably, better training for SROs would lead to fewer school-based complaints for minor misbehavior. Zero tolerance policies that require students to be referred to law enforcement for certain offenses also contribute to the issue. NC law requires schools to report certain offenses to both law enforcement and the school superintendent. In addition, there are 16 offenses that schools must report to the NC Board of Education for its annual report on school violence. Although many of these offenses are violent or serious crimes, school-based complaint data shows that schools frequently involve SROs in minor infractions that do not fall within the mandatory reporting laws. The NC Center for Safer Schools reports that making arrests and conducting criminal investigations on school grounds represents “only a fraction” of what SROs do on a daily basis. Many SROs provide civic education for both students and teachers, mentor students, and participate in school activities (e.g., coaching sporting events) which are sometimes unpaid. The report also recognizes that the presence of SROs on school campuses helps promote school safety by allowing officers to respond quickly to potential threats. How Does the STPP Impact Youth? Higher Recidivism – A 2015 Juvenile Recidivism Study by the NC Sentencing and Policy Advisory Commission shows that while the overall juvenile recidivism rate is 42%, it increases to 53% for juveniles who are adjudicated delinquent, but declines to 39% when juveniles are diverted from the court system to community based resources. 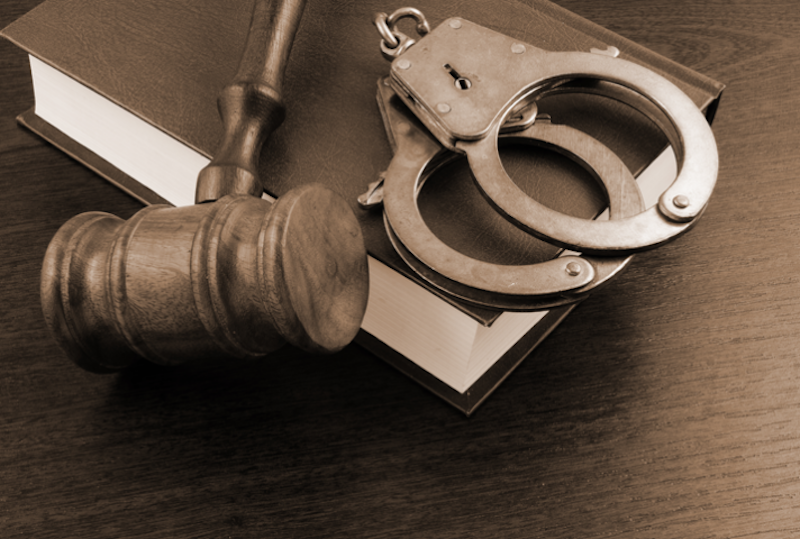 Permanent Criminal Record – In NC, juveniles are automatically prosecuted as adults at age 16. For these juveniles, court referrals for minor misbehavior such as fighting at school or yelling at a teacher can result in a criminal conviction which may impact their future opportunities to attend college, get a job, or enter the military. Academic Failure – Juveniles who are referred to court for school misbehavior often are suspended from school, transferred to alternative school placements, or expelled. These students miss valuable educational instruction which can put them at a greater risk of academic failure. In FY 2014-2015, NC public schools issued 208,650 short-term suspensions (1-10 days), an increase of 5.2% from the prior school year. In the same school year, there were 7,027 alternative school placements, an increase of 21%. Disparate Impact – Recent data shows that the STPP disproportionately impacts certain groups, including minorities and students with disabilities, who are suspended and expelled at much higher rates than other groups. For example, in FY 2014-2015, black students received 57% of short-term suspensions and 56% of long-term suspensions although they represent only 26% of the total student population. Students with disabilities received 24% of short-term suspensions and 22% of long-term suspensions although they represent only 13% of the total student population. According to juvenile justice complaint data for 2014, 53% of all school-based complaints were issued against black students, compared to 35% for white students. These consequences represent some of the reasons why judges and other court actors have become increasingly concerned about finding ways to address the STPP. What is the Role of Judicial Leadership? So, why am I discussing the STPP with judges? They can’t control which cases come before them and are bound to make decisions based on the facts of a case, regardless of potential concerns about whether the case should have been sent to court in the first place. Interestingly, there is a way that judges can help and many of them have already started to take action. Two years ago, Judge Steven C. Teske, a juvenile court judge from Clayton County, Georgia, came to the School of Government to discuss the school-justice partnership agreement he established in 2004. School-justice partnerships are collaborative agreements between schools, the courts, and other key stakeholders designed to improve school safety by creating specific guidelines for school discipline in a way that minimizes suspensions, expulsions, and referrals to court. According to Judge Teske, judges can use their power as a convener to bring necessary stakeholders together to create a solution. Judge Teske’s school-justice partnership agreement in Clayton County resulted in a 67.4% reduction in school-based complaints and an increase in school safety and graduation rates, as detailed in this article. Some NC judges have followed Judge Teske’s lead by convening key stakeholders in their own districts – e.g., school board officials, law enforcement agencies, prosecutors, juvenile justice officials, and judges – to create school-justice partnerships, or in some cases, misdemeanor diversion programs. Mecklenburg County, for example, has both a school-justice partnership agreement and a school based diversion program. This morning, Judge Elizabeth Trosch discussed the agreement, which prohibits SROs from arresting students or filing a criminal complaint the first time a student commits certain minor acts which include affray, simple assault without injury, disorderly conduct, and communicating threats (among others). Instead, students are referred to the school based diversion program. Chief District Court Judge J. Corpening has implemented a similar school-justice partnership agreement in New Hanover County and has also discussed his role in convening stakeholders with other judges. Other counties, including Durham, Wake, and Orange have established misdemeanor diversion programs to help reduce the STPP. All three programs divert 16 and 17 year olds, who would otherwise face adult prosecution, from the criminal justice system. However, while the program in Wake County is limited to non-violent school based offenses, misdemeanor diversion may be offered to all first-time offenders in Durham and Orange Counties. Durham County’s program has been so successful that it was recently expanded to include 18 to 21 year olds. Several resources are available for judges who are interested in convening stakeholders to address the STPP, including this toolkit developed by the National Council of Juvenile and Family Court Judges. Of course, judges can also speak to their colleagues who have already participated in this process. Do other counties have school-justice partnerships and/or misdemeanor diversion programs? Please share if you are aware of other programs.